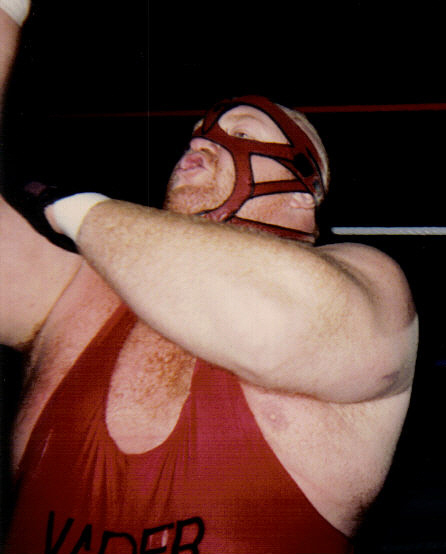 It was reported last month that Leon White, better known as Big Van Vader and Vader, passed away on the 18th June. He was 63. White was born in Lynwood, California and actually started out in American Football. He was an offensive lineman for the University of Colorado and was drafted in the 3rd Round in the 1978 NFL Draft by the Los Angeles Rams. White went on to play for the Rams against the Pittsburgh Steelers in Superbowl XIV but had to retire soon after. After being trained by Brad Rheingans, White spent time in the American Wrestling Association and the Catch Wrestling Association before going to New Japan and winning their World Championship 3 times. While there, he was approached by WCW and went on to become a 3-time World Champion and a United States Champion. White then went to the WWF and would have become World Champion if it wasn't for the creative control of Shawn Michaels. His time there was not as successful as it was at other companies and he left to return to Japan in 1998. He went on to compete at TNA and various independent companies. My experience of seeing Vader is actually very little. I didn't watch WCW until 1999 and I wasn't watching WWF for most of the '90s. I bought a Wrestlemania box set when I was younger and I watched him at Wrestlemanias XII and XIII. Looking back on it now, Vader is someone that the WWF never booked properly. The man had impressive ability for his size yet that was not enough for them. Vader is considered to be one of the best heavyweight wrestlers of all time and his legacy will live on for years to come. He is survived by his ex-wife and 2 children.